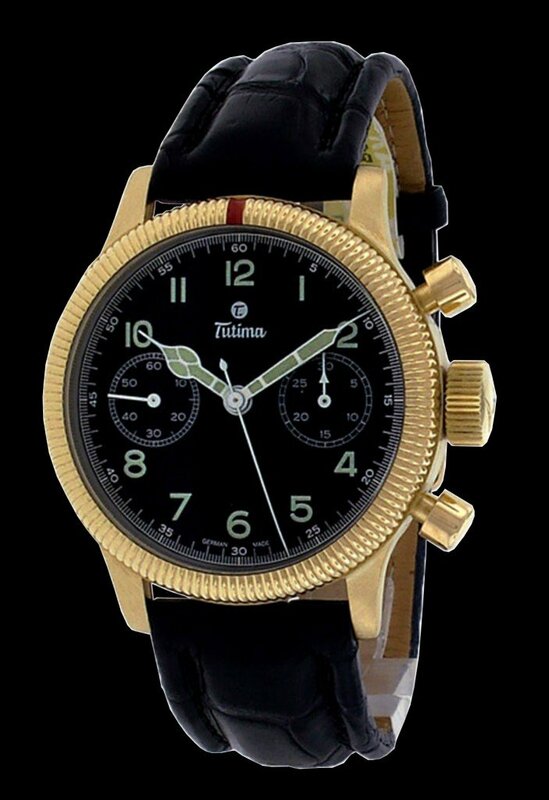 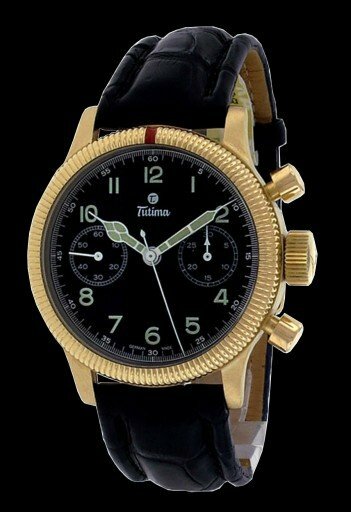 Made from 18K solid yellow gold, the 1941 Flieger weighs a hefty 112 grams. 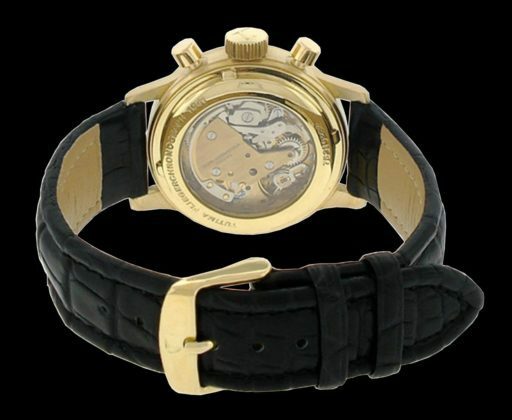 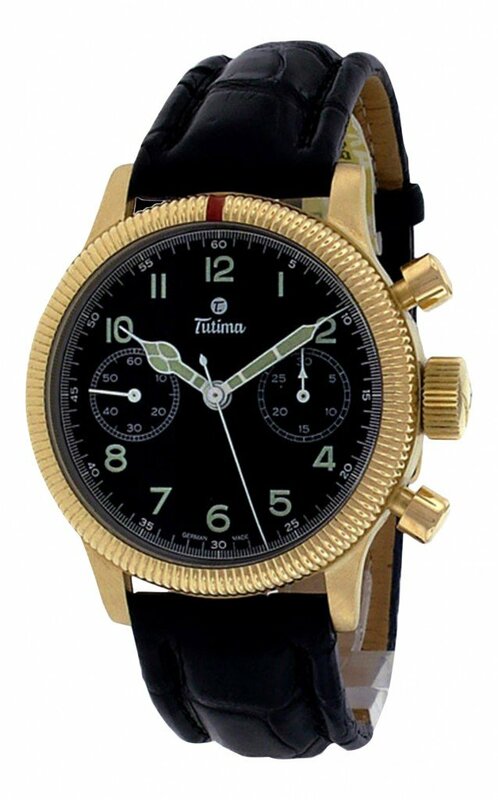 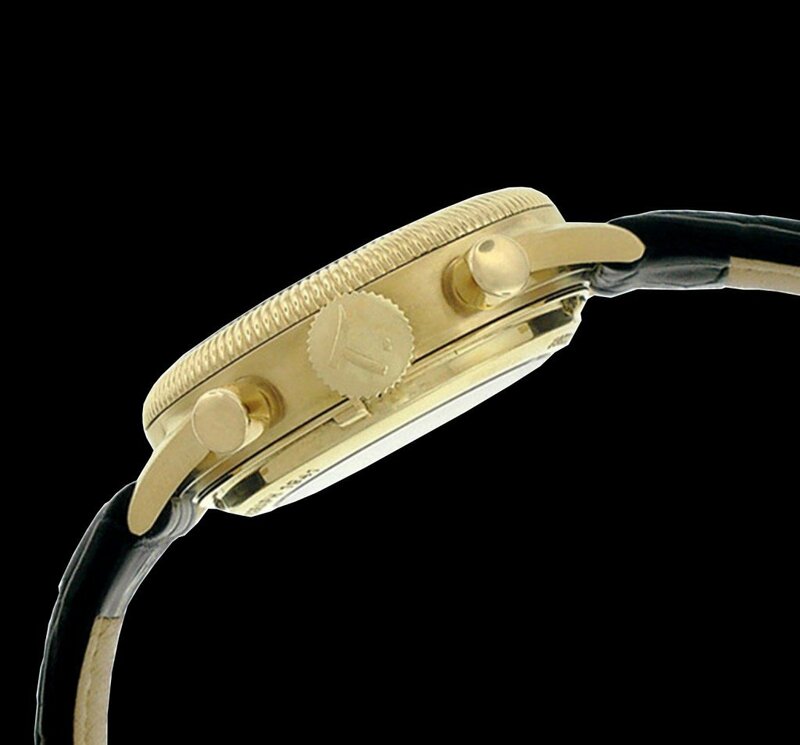 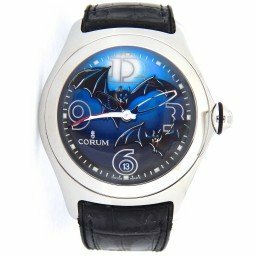 It is paired with the original Tutima black genuine crocodile strap with Tutima 18K Yellow Gold pin buckle that can fit a wrist up to 9 inches. The movement is mechanical—Hand Wind Swiss Valjoux 7760 chronograph, and it houses an 18K solid gold rotating bezel.